The three metals can be found in the central chamber of the catalytic converter, but don’t be tempted to break into it – the inside of a catalytic converter is considered hazardous waste. It should only be recycled by specialists who have the appropriate recycling and safety equipment. 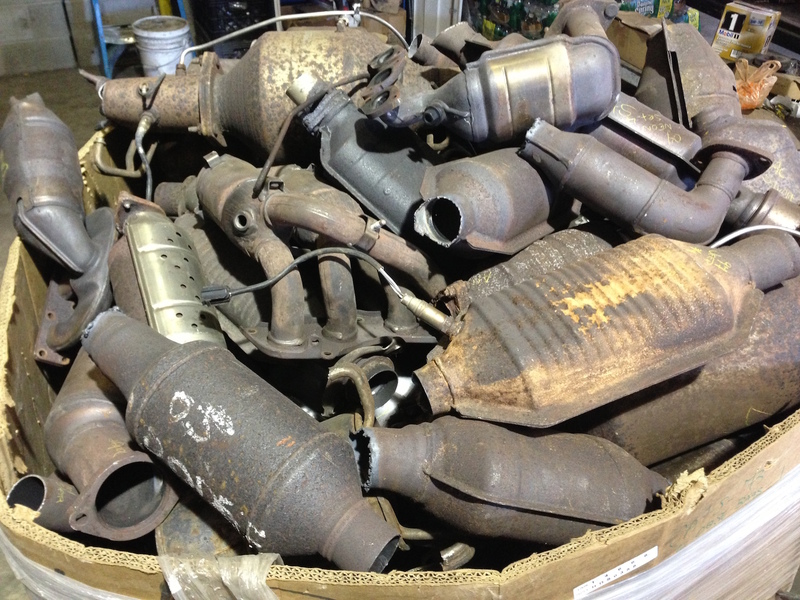 When you sell your scrap car to an Authorised Treatment Facility (ATF), the ATF will remove the catalytic converter (cat) as part of the de-pollution process. The ’cat’ is then stored temporarily before being passed on to a specialist recycling company. The recycling company then use a process to extract the precious metals from the ‘cat’ and also to recycle the metal container. The process can vary, depending on the technology the company has in place. If you would like to see the recycling take place, SAR Recycling Ltd in Immingham have a viewing area. They also allow you to see the processing, so you can see the entire recycling procedure first-hand. Catalytic Converters – Hazardous Waste or Controlled Waste? Catalytic converters should only be recycled by trained personnel because they contain toxic chemicals. Although catalytic converters are classed as controlled waste in ATFs, this is only when they are intact, as they do not pose a significant risk. But as soon as the catalytic converter has been opened, so that the ceramic bricks are exposed to the air, the ‘cat’ is regarded as hazardous waste and should be handled and disposed of accordingly.